What is the cheapest way to get from Cosenza to Tropea? The cheapest way to get from Cosenza to Tropea is to bus and line 237 bus which costs 5€ - 9€ and takes 3h. What is the fastest way to get from Cosenza to Tropea? The quickest way to get from Cosenza to Tropea is to drive which costs 15€ - 23€ and takes 1h 33m. Is there a direct bus between Cosenza and Tropea? No, there is no direct bus from Cosenza to Tropea. 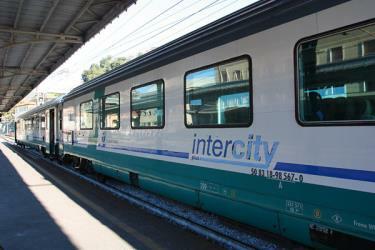 However, there are services departing from Cosenza and arriving at Tropea via Pizzo. The journey, including transfers, takes approximately 3h. Is there a direct train between Cosenza and Tropea? No, there is no direct train from Cosenza to Tropea. 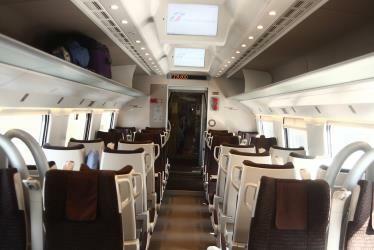 However, there are services departing from Cosenza and arriving at Tropea via Lamezia Terme Centrale. The journey, including transfers, takes approximately 2h 59m. How far is it from Cosenza to Tropea? The distance between Cosenza and Tropea is 76 km. The road distance is 119.9 km. How do I travel from Cosenza to Tropea without a car? The best way to get from Cosenza to Tropea without a car is to train which takes 2h 59m and costs 8€ - 30€. How long does it take to get from Cosenza to Tropea? It takes approximately 2h 59m to get from Cosenza to Tropea, including transfers. Where do I catch the Cosenza to Tropea bus from? 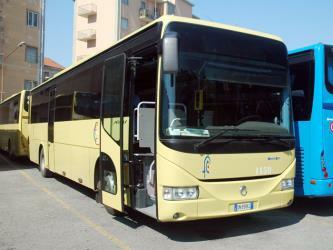 Cosenza to Tropea bus services, operated by Ferrovie Della Calabria, depart from Cosenza station. Where do I catch the Cosenza to Tropea train from? 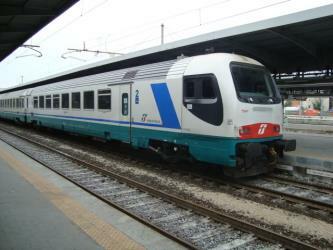 Cosenza to Tropea train services, operated by Trenitalia, depart from Cosenza station. Train or bus from Cosenza to Tropea? The best way to get from Cosenza to Tropea is to train which takes 2h 59m and costs 8€ - 30€. Alternatively, you can bus and line 237 bus, which costs 5€ - 9€ and takes 3h. What companies run services between Cosenza, Italy and Tropea, Italy? You can take a train from Cosenza to Tropea via Lamezia Terme Centrale in around 2h 59m. Alternatively, you can take a bus from Cosenza to Tropea via Pizzo Farmacia and Pizzo in around 3h. Where does the Cosenza to Tropea bus arrive? Cosenza to Tropea bus services, operated by Ferrovie Della Calabria, arrive at Tropea station. Where does the Cosenza to Tropea train arrive? Cosenza to Tropea train services, operated by Trenitalia, arrive at Tropea station. Can I drive from Cosenza to Tropea? Yes, the driving distance between Cosenza to Tropea is 120 km. It takes approximately 1h 33m to drive from Cosenza to Tropea. 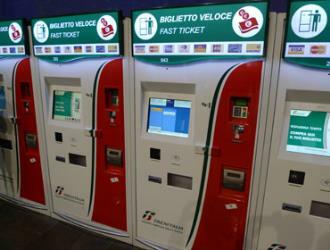 How do I get a train ticket from Cosenza to Tropea? 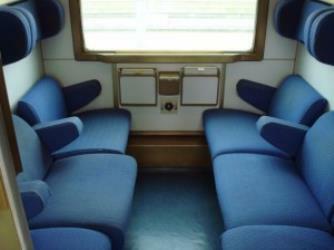 Book your Cosenza to Tropea train tickets online with Rome2rio. Discover how to get to attractions and hotels near Tropea. Capo Vaticano is a wide bathing place in the Municipality of Ricadi in Calabria, Italy. The 'Cape' is formed by a particular white-gray granite, which is examined worldwide for its geologic characteristics. Aquapark Zambrone was the first water park in southern Italy, located on the coast of the comune of Zambrone in the Province of Vibo Valentia. The World Waterpark Association calls it "one of the largest and most famous waterparks of Southern Italy". Construction began on January 11, 1989 and seven months later, on August 13 of the same year, its gates were opened for the first time to the public. The 60000 m2 park closed in 2007 to make way to a luxury resort hotel. Rome2rio makes travelling from Cosenza to Tropea easy. Rome2rio is a door-to-door travel information and booking engine, helping you get to and from any location in the world. 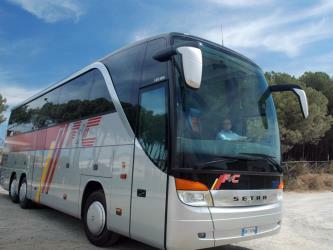 Find all the transport options for your trip from Cosenza to Tropea right here. Rome2rio displays up to date schedules, route maps, journey times and estimated fares from relevant transport operators, ensuring you can make an informed decision about which option will suit you best. Rome2rio also offers online bookings for selected operators, making reservations easy and straightforward.